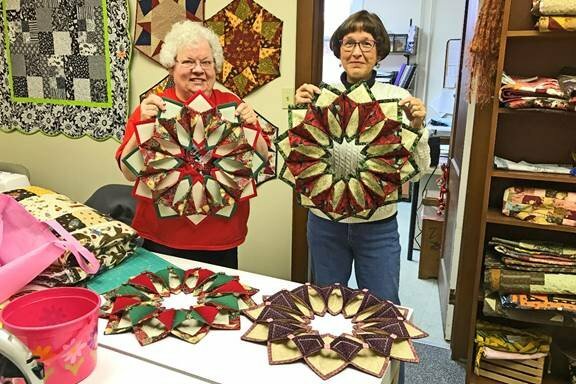 Next, we have 2 more projects, courtesy of Barb Godshalk and Kathy Betz, from the Fold 'N Stitch Wreath" class which was taught here at the shop on 12/10/16. Great work, ladies, and we're glad you enjoyed the class! 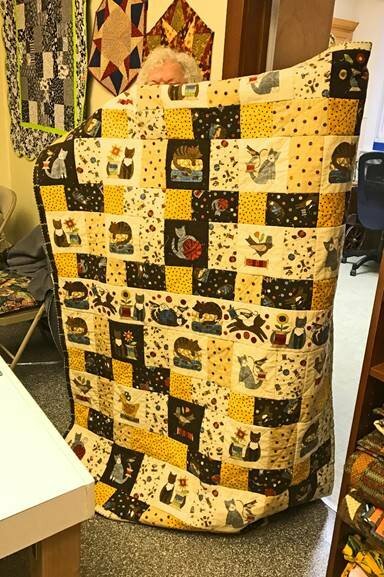 Barb has apparently been very busy, here is a picture of her newest creation, a flannel rag quilt featuring the (sold out) Sew Purrrfect cat-themed flannels from the shop...very nice!!! 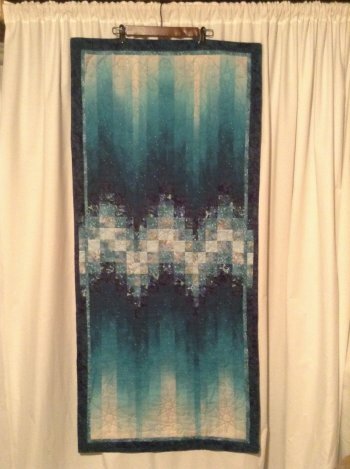 Next we have a picture of a wall quilt from Cherie Troester, entitled "Teal Nocturne," which is a Bargello which floats on an Ombre background. Very nice, Cherie! 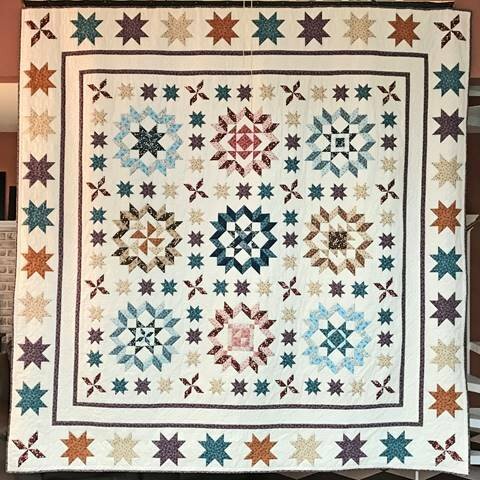 This next submission is courtesy of Carol Moll, who just finished her 2015 Plain and Fancy Block-of-the-Month quilt. 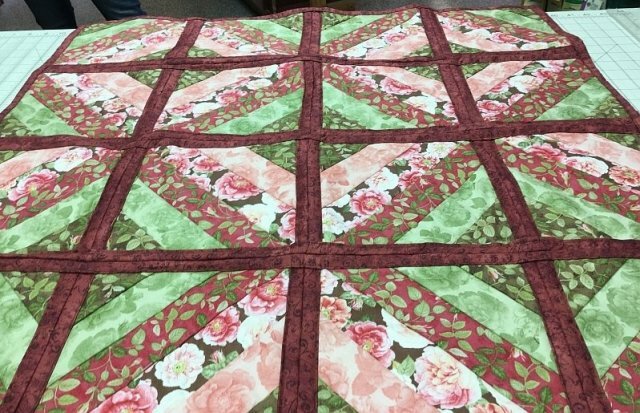 She enlarged it to king-sized to fit her bed by adding the large star border and a narrower quilted plain border. 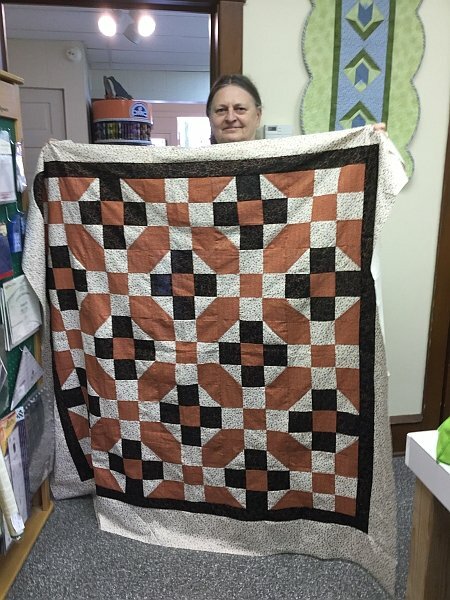 Looks great, Carol! 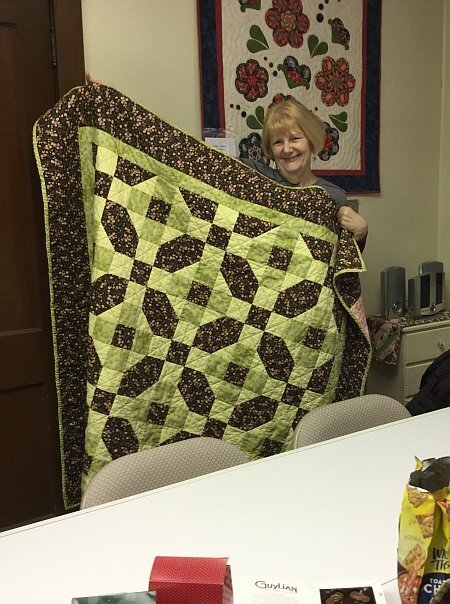 Next up, we have another finished project from Carol Moll. 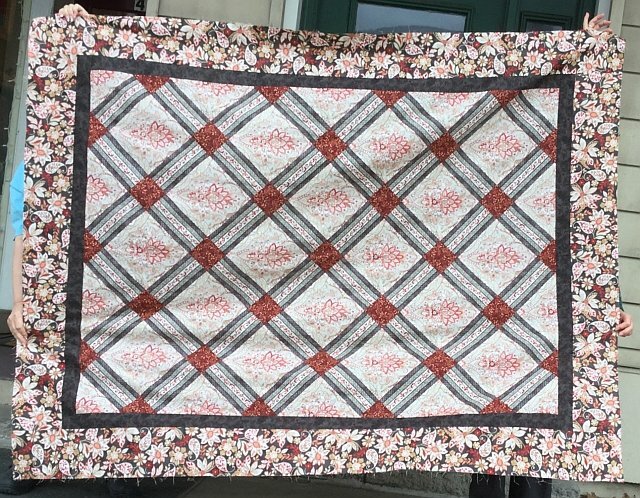 She says "I recently finished this Tumbling Blocks quilt made from many of Quilting Treasures Blendable fabrics from The Quilted Crow. 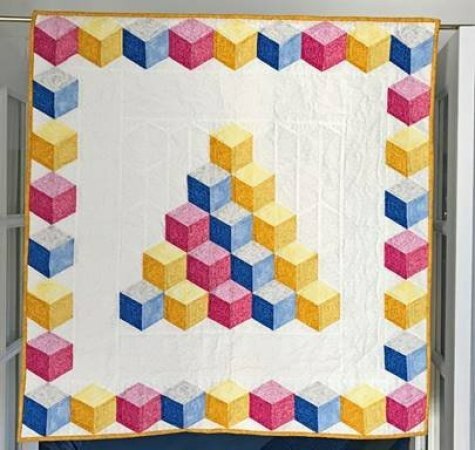 I was trying out a new ruler and pattern book that does 3-D designs without Y-seams!" 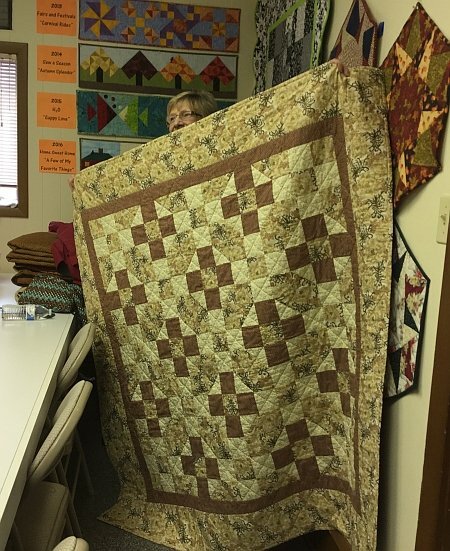 The following 3 pictures are some finished projects from the Fall 2016 "Beginning Quilting by Machine" classes which were held at the shop. 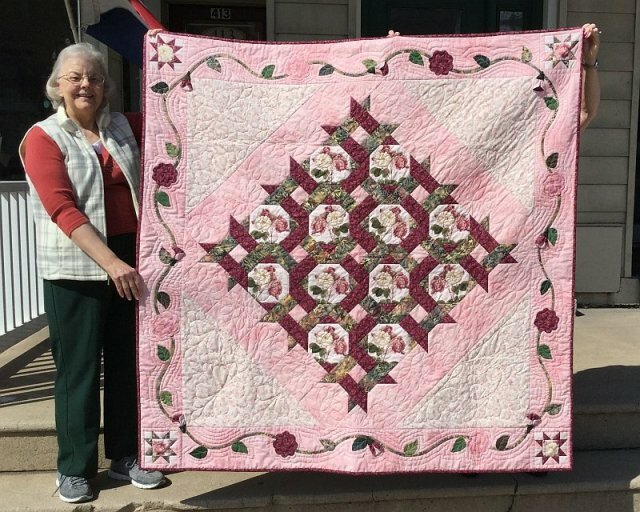 Pictured below are projects from: Annmarie Braxmeir, Maria Fehnel and Karen Hahn. Great work, ladies! 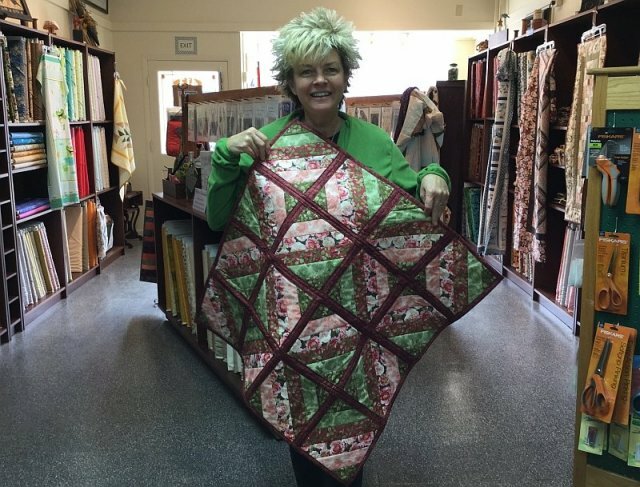 Wendy Strohl recently stopped in the shop to say hello and to show off her "Fun & Done" quilt which she recently completed. Nice work, Wendy!